Bronx Cheer AKA Tim Nice & Paul Parsons can boast a discography as long as your arm and some! Both individually and collectively have been involved in several chart topping hits on various download platforms. 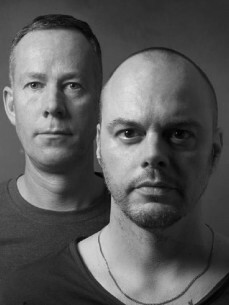 Co-owners of Tall House, Tim & Paul have been a fundamental part in structuring several artists production careers along with pushing the boundaries of their own careers. You can expect an extremely high level of production which is now being scooped up by the likes of Abercrombie & Fitch to be played in store across the globe thus propelling sales of their material into another bracket as well as increasing popularity and awareness! This is powerful House music which is designed to grab your attention and you'll naturally want to dance.